The hard-surface modeling industry is booming, no surprises since the love for hard surface creation has been strong for a long time! Now the amount of the opportunities out there for hard-surface modelers is IMMENSE: concept art for Sci-Fi movies, props for video games, real-world robotic design, 3d printing - you name it. 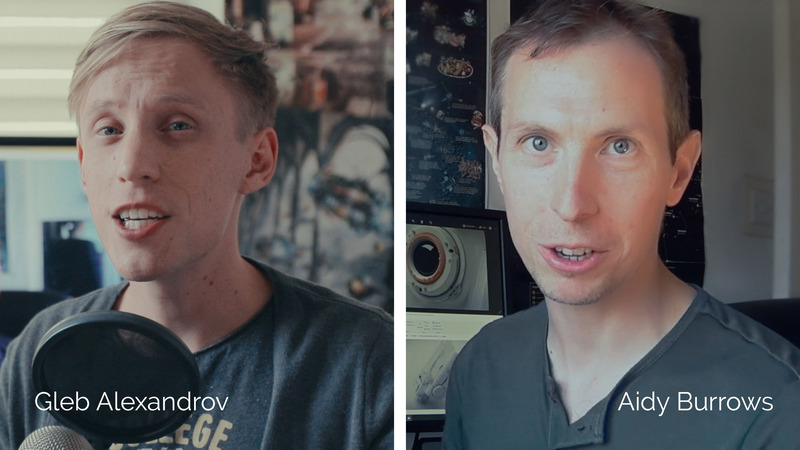 If you’ve ever seen the art of Daniel Bystedt, Masterxeon1001, Vitaly Bulgarov or Neil Blevins and any number of other amazing artists, you may know that feeling of awe and excitement… and frustration. Like, how do they manage to create such realistic, detailed models? It actually took each of us more than 10 years to accumulate enough modeling knowledge to be confident about it. 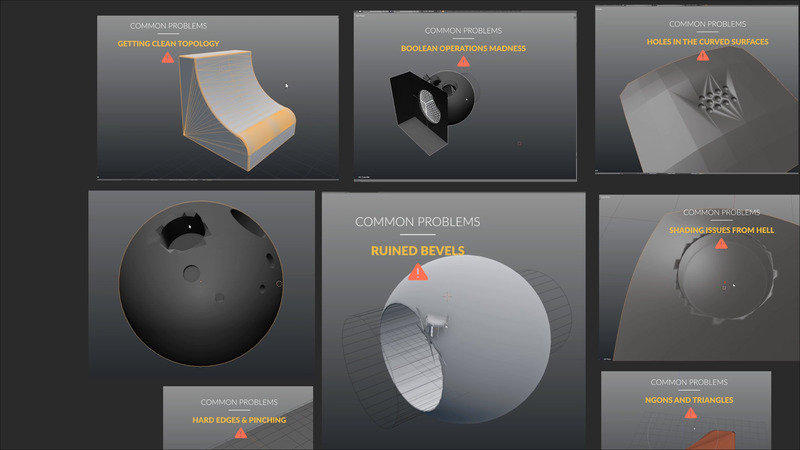 So basically we thought, what would it look like if we condensed all the knowledge required to get up and running with the hard-surface modeling, including practical AND theoretical stuff, and just put together a video course. That’s everything you need to know to create robots and other hard-surface stuff in Blender. The comprehensive guide to the super powerful modeling workflows plus 6 hours of theory. All the right boxes ticked. It’s like watching a whole Game of Thrones season, but about 3d modeling in Blender. It probably won’t make you Vitaly Bulgarov, but you’ll feel WAY more confident about your modeling skills. 100% Blender, no third party plugins. The first part of the videocourse, the side A as we call it, is aimed at the beginner users. It’s the essentials of modeling theory and primers and the showcase of the most popular modeling tools and techniques. 6 hours. The side B on the other hand, requires a pretty solid understanding of the basic modeling tools and principles, UI and so on. It’s aimed at the intermediate users. 7 hours. A Kitbash Set. Joints, hinges, latches, cables and many other things. All project files are licensed under the Creative Commons Attribution 4.0 International (CC BY 4.0). Feel free to use these assets in your projects, even commercial. "So long... so educational. I will be recommending this to everyone as a prerequisite for understanding the fundamentals!" "Leave it to Gleb and Aidy to create a course that is hard to give a testimony on… Not sure how to give their work justice in a few words. This course is probably better than anything you will learn in any 3D school. This video course is packed with modeling tips, tricks, theories, and execution that will blow your mind!" "Of all the hard surface modeling courses I've seen over the years, this is one of the most complete I've ever come across. Aidy and Gleb do a great job of walking you through all the different modeling techniques in Blender to achieve a great result. You won't be disappointed!" I have a question, how can I contact you guys? Where can I get an invoice/receipt? Login to your BlenderMarket account and go into Profile> My Account> Order History. There you’ll find the Receipt (PDF) button. What version of Blender do I need? 2.79? 2.8? A lot of the course is quite theoretical and applies across any version of Blender, or any version of polygonal modeling software in fact. The vast majority of the course is recorded using 2.79b. This is the most recent stable version of Blender and will remain so for some time, it also runs on the vast majority of computers. Once 2.8 official is released, we will be adding some supporting content to help anyone transition over should they choose to. How to download the Hard Surface Modeling Course from Blender Market? How to give product as a gift? The Blender Market can send you an invoice and then deliver the gift to any given email; in order to the claim the gift the recipient will need to create an account with that same email. I've deleted the email with the link. How to regain the access to the product on Blender Market? Should I use any video player in particular? Where are the resources (.blend files, references)? You'll find these in the project files zip folder. Will I need any other software, besides Blender? No, the course is done 100% within Blender. I just started learning Blender, will I be able to do this? This course is aimed at the intermediate skilled users, so we would recommend to have some basic understanding of Blender before entering the hard surface laboratory of dreams. The first half (6 hours or so) is aimed at the beginner level. The second half (another 7ish hours) assumes you're more confident at this point the tempo goes quicker. Though, we did our best to make it accessible. If you are up to the challenge, give it a shot. What is the license of the .blend files? Can I use it in my own projects? The .blend files contained in the hard surface modeling course are released under Creative Commons 4.0 Attribution. Feel free to use them in your projects. Sure. Blender Market has a 30 day money back guarantee. Just shoot an email to [email protected] and ask for a refund. This item has an average rating of 5 from 38 ratings by the community. The Best course for the BEGINNER. Great comprehensive course. I am sure this will improve my modelling skills. Lots of handy tips. Having used Blender for 8 years I was going to skip the beginner section but decided to watch through it anyway at the last minute. So glad I did - learned a bunch of shortcuts or methods that I had never used before! Looking forward to getting a chance to dig into the rest of the course, time permitting. Very good course, with tons of useful info. As a blender noob, I found side A very helpful. However, the jump to the content in side B is rather a big one. I kind of wish they walked you through a couple of less ambitious projects to practice what you learn in side A first. Fantastic - well worth the money! Wonderful tutorial!!! Intensely packed with best practices, tips and hundreds of small examples of how to bring modelling to a more advanced level! So much worth the price!! thanks Gleb and Aidy! Fantastic course! This is a really good course that teaches not only hard surface modeling but a lot of theory that you can take to whatever 3d program you use. Really awesome. Great tuts, my only grumble is in the organization of the vids for download and viewing, really need a PDF contents page or something to make working through them in order a lot easier and layout the structure. Other than that its great. Great course! 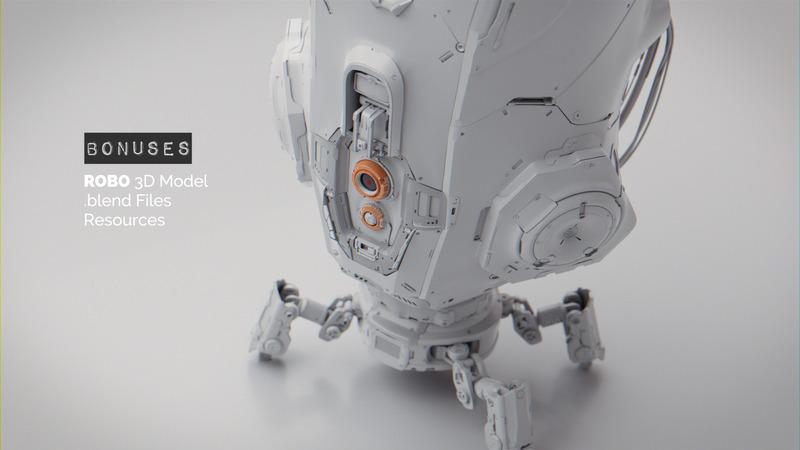 Everything you need to master hard surface modeling in blender. Aidy and Gleb are really good teachers! Thx for VERY useful tutorial! It's really an amazing course!!! Just with the "face A" I learned lots of very practical tips! By far one of the better tuto I've never seen! Well-thought out course, expertly presented. Absolutely worth every penny. I have already learned a dozen or more techniques that have improved and sped up my workflow and vastly increased the quality of my topology. I just started, but I can already says that the quality of the teaching is Incredible! I'm deeply impressed on how much value has been put inside this course. Be aware though: it's not for the faint of heart. If you're a total beginner like me the content is incredibly packed with so much information and knowledge that your head will feel like it's exploding! It took me more than one hour just to go through the FIRST video (that is just 18 mins long). Be ready to take notes, LOTS of notes. The amount of keyboard shortcuts used is incredible and will overwhelm you for sure, so better writing things down and revisit them periodically to be able to recall them when needed. Watching, taking notes, re-watching and repeating on your own means that, if you're like me, each minute of video will cost you AT LEAT 5 minutes of your "real" time, and that means this course will feel to you (I'm looking at you "n00bie", that is, me) like a 60+ hours course; probably much more if you consider that you'll have to periodically revisit a few videos or just your notes at least until you commit the huge amount of information to memory (I guess that will take some time). It's totally worth it and I'm totally in love with this content; I'm sure the hard work you HAVE to put in on your part will be repaid with the tremendous amount of knowledge and expert tips you'll grab along the way. Highly recommended! I learned more in the first hour of watching this course than in 5 years of free youtube tutorials. I soon came to realise that my existing "workflow" was simply a collection of bodges and work-arounds to make up for my lack of knowledge of the basics of modelling and topology! Worth every penny. Great work from Gleb and Aidy! The workflow for hardsurface modeling shown here is GOLD! No tengo dudas de que este curso me ayudará a subir de nivel significativamente mi modelado hardsurface. The beginning section alone is worth the price of admission. I've used Blender for well over a decade now, and I've picked up a lot of bad modeling habits along the way from self-learning and watching bad tutorials in the early days. This has been a good"reset" for me, in that respect. I also really like the two-pronged approach, covering both procedural and destructive workflows. And the modeling theory section was helpful in understanding why some models behave better than others with subsurface modifiers, etc. It's a very good cource. It has a complete explanation of all methods and thricks that need for beginner and intermediate modeller who want to increase his skills. I will recommend this cource to people who ask how to model such hard surface things. Well organized, clear, fun, and overflowing with rich Blender awesomeness. Very easy to recommend this outstanding resource - thank you Aidy and Gleb!! I've been using Blender for over a decade and this set represents a similar investment in time and energy by Gleb and Aidy. I've learned so many new shortcuts and techniques over the last couple of days. Keep this set handy on your computer - I guarantee you'll be going back to it many times. I'm glad I got this, even the beginner section had good tips on things I thought I had figured out. Also serves as a nice video resource collection you can keep on your pc if you need to brush up later. Really, really AWESOME ! ! ! Just absolutely awesome. One of the best tutorial series I have ever seen! Thank you guys for helping my 3D dreams come to life! Right from the start, it's clear that an immense amount of thought and effort went into this substantial course. Exactly as [email protected] already mentioned, there's so many helpful hints and tips in the intro section alone, which I also found either brand new (to me) or well worth making a lot more use of. I have no doubt that this course is going to help me to significantly 'level-up' my hard-surface modeling. I thought I might not need to do the beginner section and would move onto the intermediate section, but out of curiosity I went into one of the first videos and watched 5 minutes, I learned 7 things I had never known. This course is awesome, I can only begin to imagine how much I will have learned by the time I complete this.